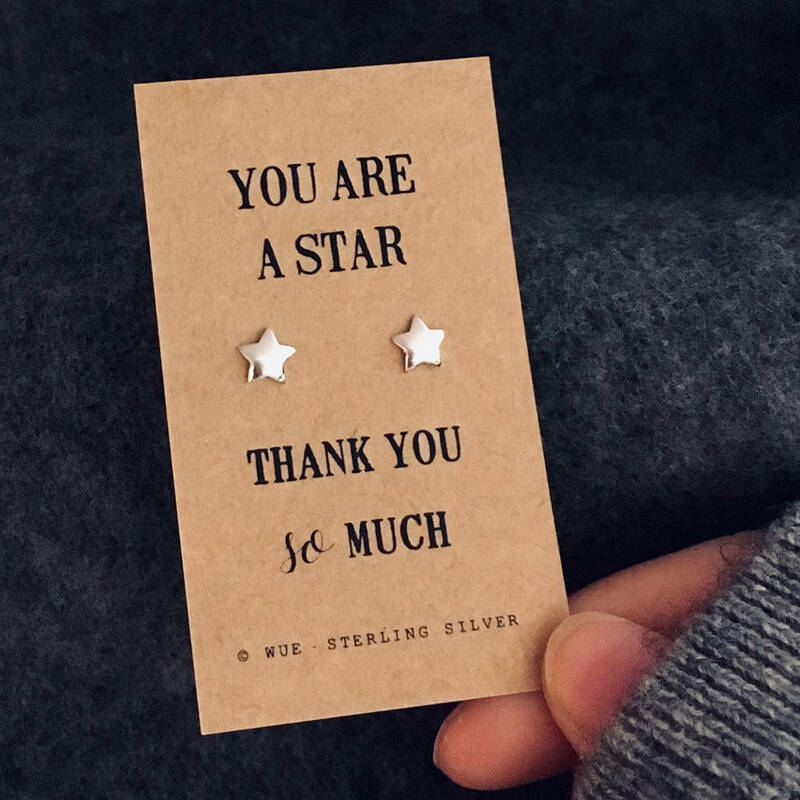 You are a star thank you silver earrings. 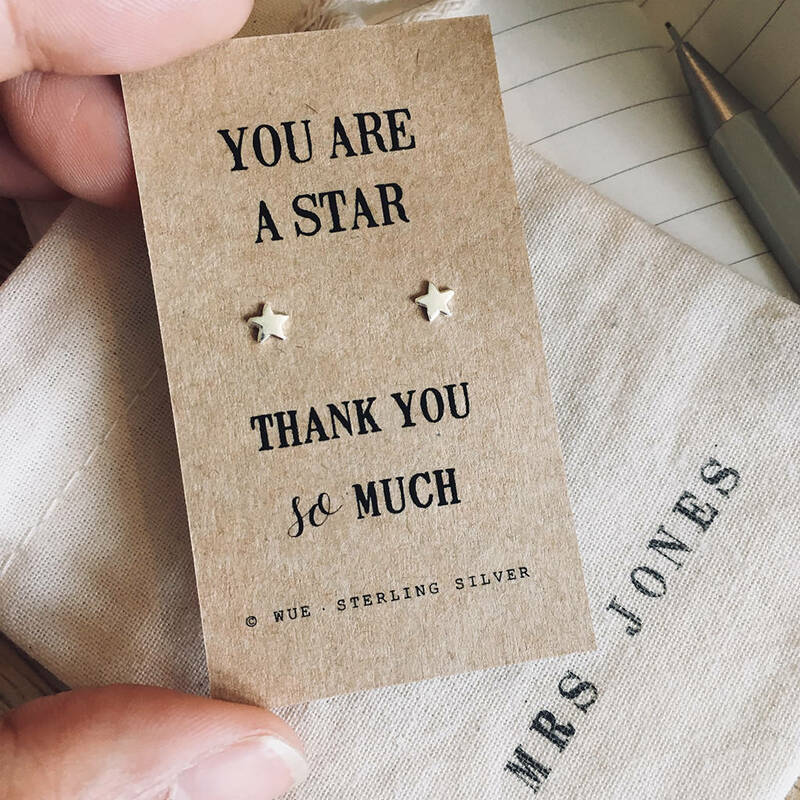 A perfect way to say thank you so much to that star who has done something amazing for you. 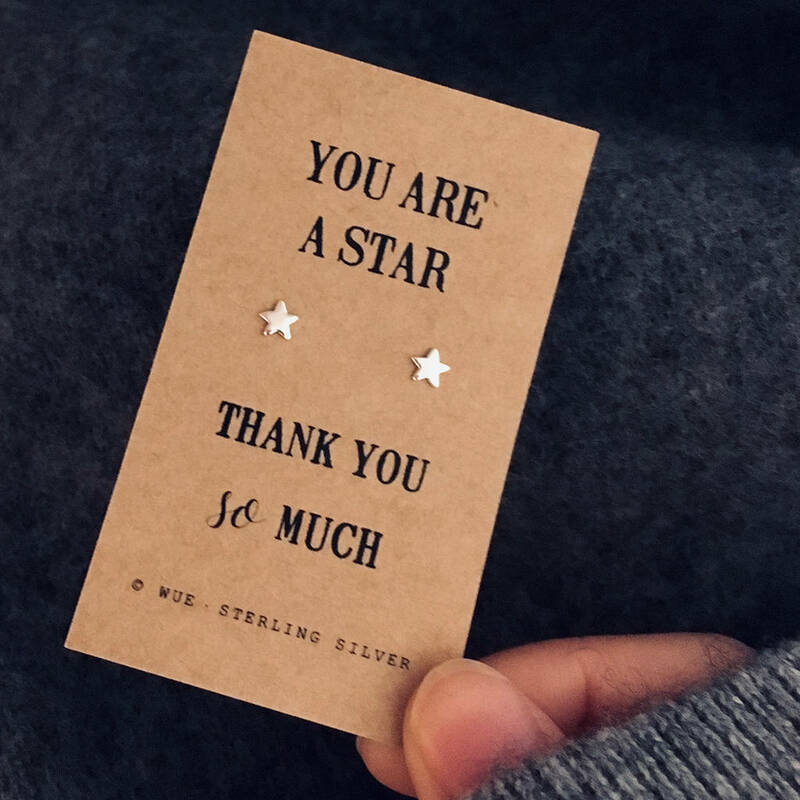 These sterling silver earrings make a great token gift to say thanks. Make the gift extra special by adding their name to make the gift bag even more personal for them. 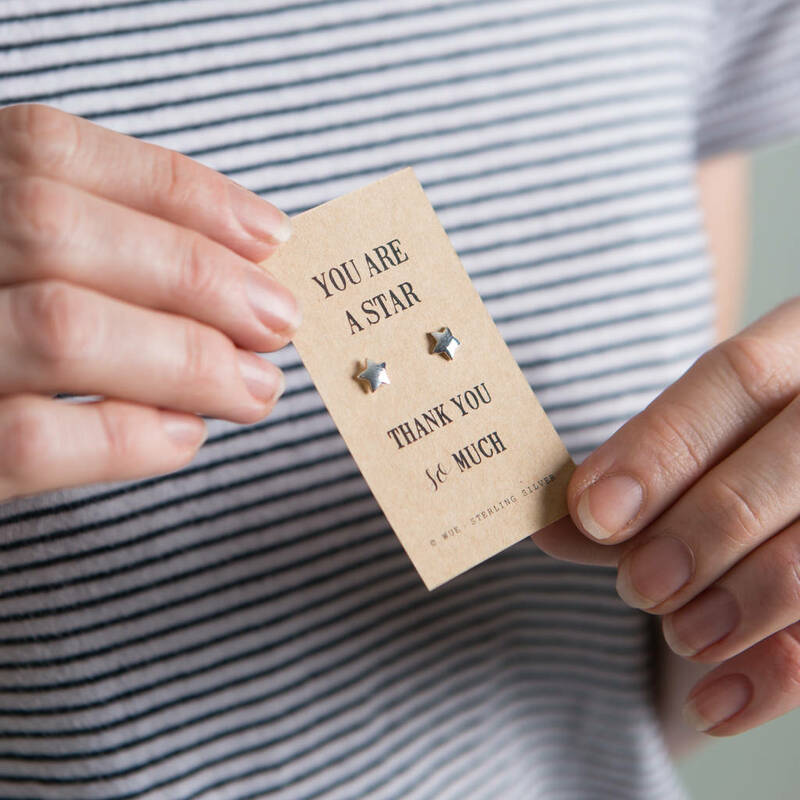 Available in either 0.4cm flat style or 0.7cm 3D style with optional personalised gift bag. This product is dispatched to you by Wue.